Begonias come in over 1,500 species and over 10,000 hybrids, with new cultivars being introduced every year, notes GardeningKnowHow. 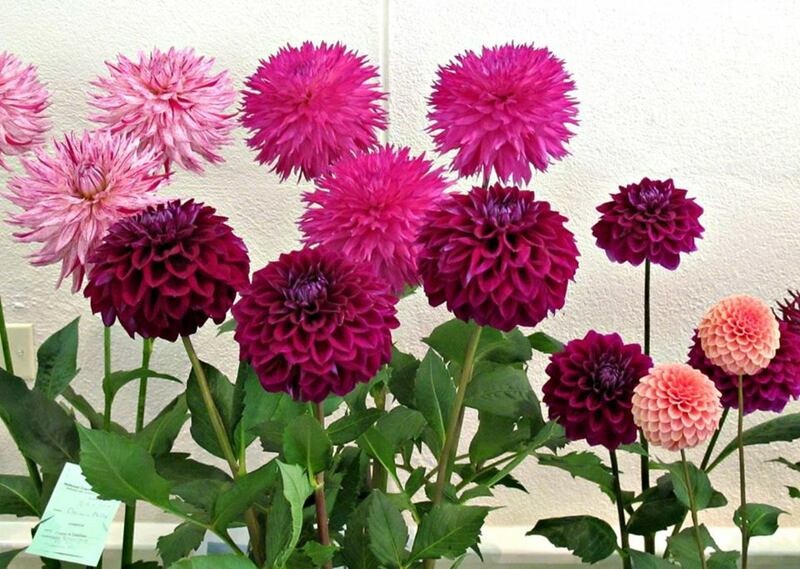 It is quite likely that you’ll find just exactly the right type of plant you are looking for. Whether it is small and compact or large and sprawling, there are quite a few types of Begonias to choose from. 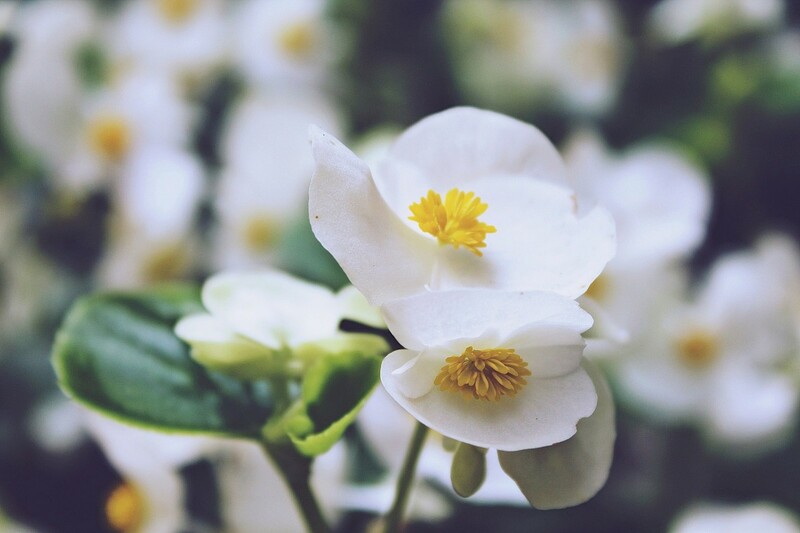 Begonia blooms are available in hues such as white, rose, pink, and red, with foliage in a variety of colors too- such as bronze, green and variegated. They are have interesting shapes. They look like a brown squatty tomato with an indentation on top. The indentation is the portion with the leaves and stem will grow, the bottom round portion is where the roots will form. Be sure to orient the tuber correctly when planting it, with the indentation facing up. Planting the tuber upside down will drastically drain the plant, and will inhibit the amount of initial growth in the plant. If you realize you planted the tuber upside down shortly after planting, gently dig up the tuber and replant it with the right side up. 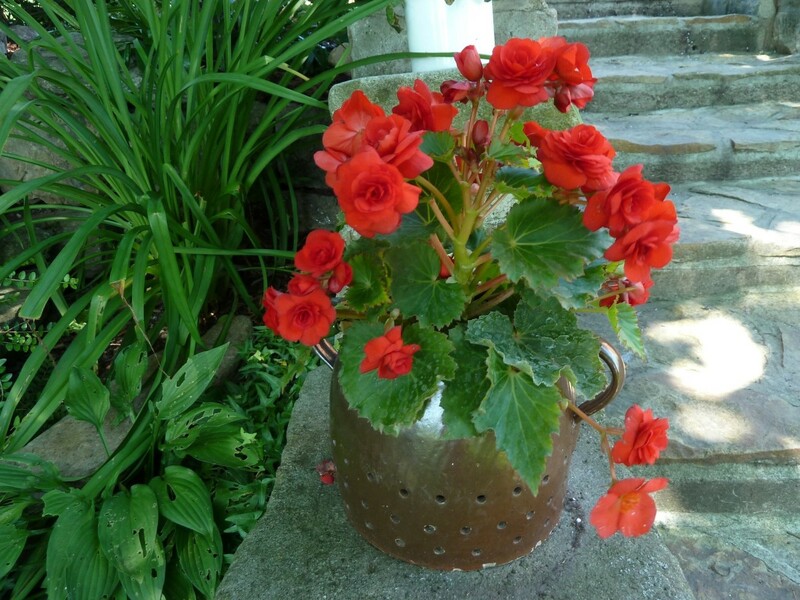 Begonias grow well in a variety of containers, as long as there is adequate drainage. Fill your desired containers with well-draining potting soil. The container should be at least twice the size as the diameter of the tuber. Insert the tuber partially in the soil with the indented side facing up; the top of the tuber should be about level with the surrounding soil. Spacing tubers 3 to 5 inches apart for container gardening. Water-in the soil around the tuber until the soil slightly settles. Avoid adding water directly to the top of the tuber; if the indentation holds water it could rot. Start the container indoors in cooler locations, and then move outside once temperatures are warmer. 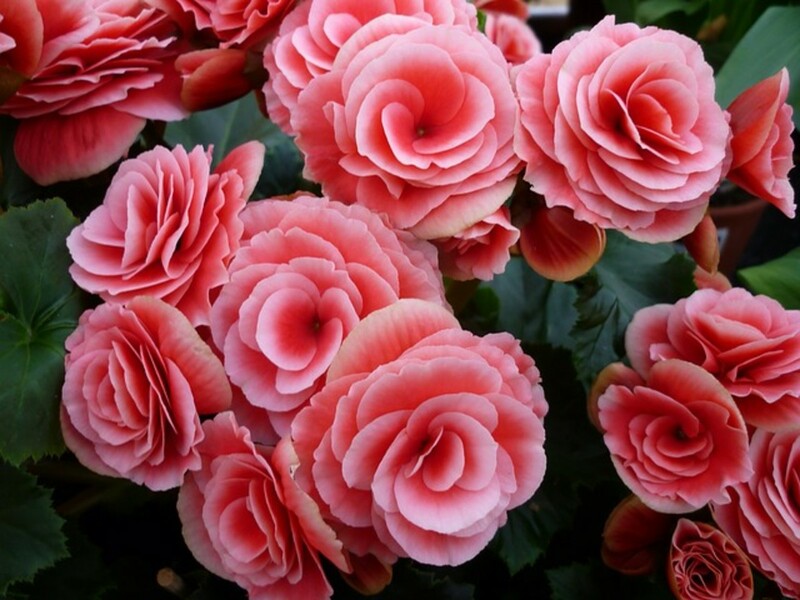 Water the Begonia until water is moist but not soggy. Remove tuber from the soil when the plant is spent, and allow it to dry for a few days. Store tuber in a cool, dark location in a box with peat moss until the start of the next growing cycle. 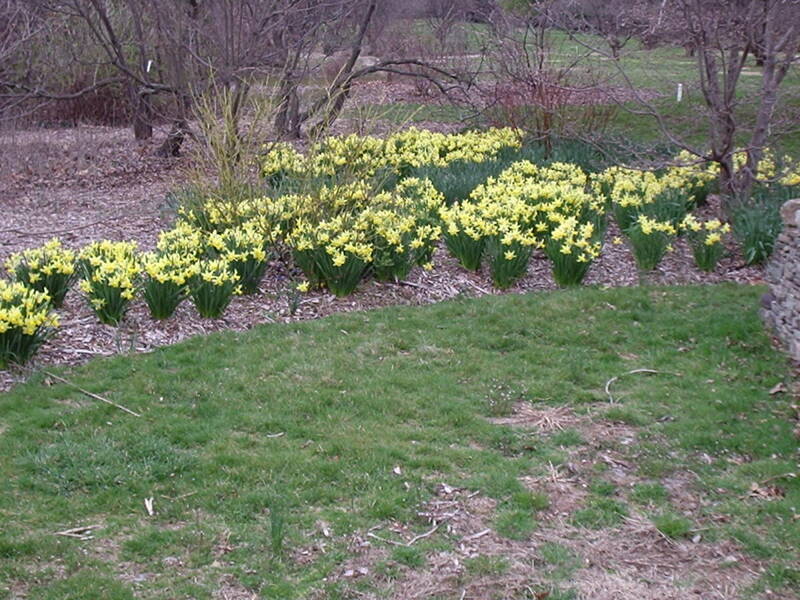 Select a location with partial shade and moist, well-draining soil. If your intended location tends to hold too much water, add organic matter such as peat moss, compost or bark. Loosen soil, and insert the tuber partially into the ground with the indented side facing up. The top of the tuber should be about level with the surrounding soil. Space tubers 8 to 12 inches apart. Clemson University suggests that begonias look best when grown in large groupings, so consider adding an impact area of Begonias. Water-in the new tubers, keeping the soil damp, but not soggy. Avoid adding water directly to the top of the tuber; if the indentation holds water it could rot the plant. 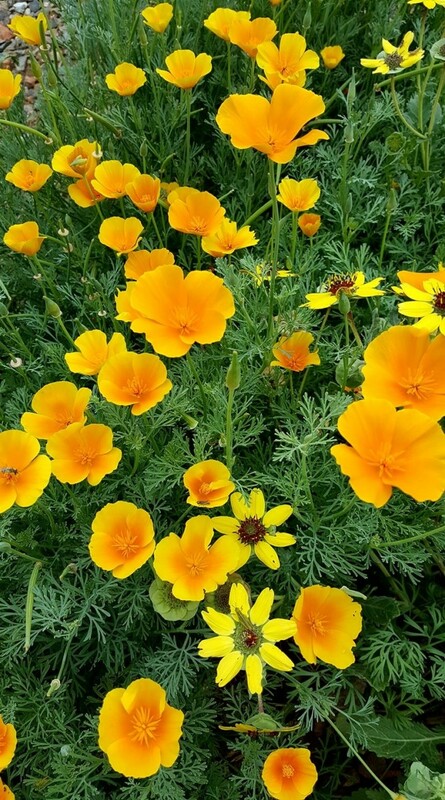 Remove blooms as often as you like, but remove the foliage sparingly, as the leaves feed the plant through photosynthesis and strengthen the plant for future year’s growth. At the end of the growing season, once the stalks have withered and yellowed, you can remove the tuber for next year’s planting. Dry tubers out for a few days, then store the tuber in a cool, dry box with peat moss until next year’s planting. When planting Begonias outside, space them about 12 inches apart to allow for adequate growing room. Wax Begonia varieties don’t need quite as much room to grow; you can space them 6 to 8 inches apart. Begonias thrive in a location with partial shade and moist, well-draining soil. Begonias need bright light to induce flowering, but intense direct light may burn the plant. 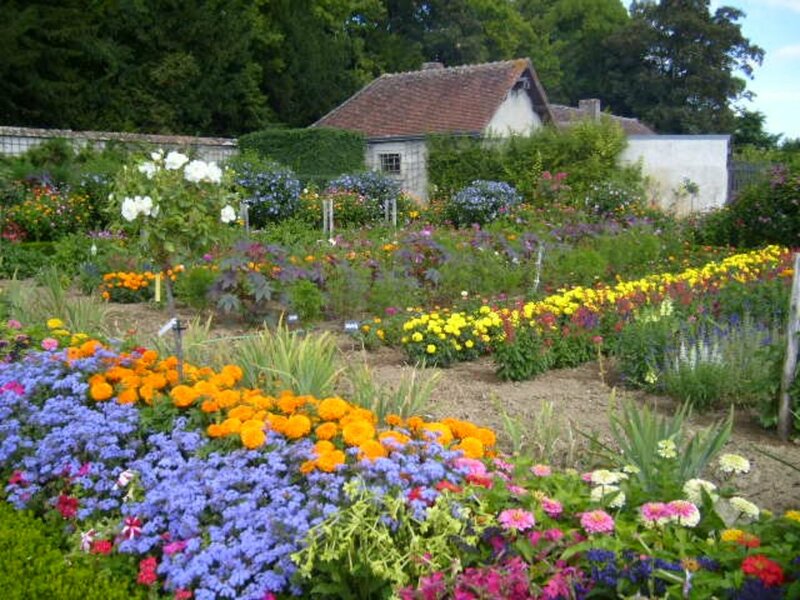 Avoid watering the foliage t help prevent rot and disease. Deadheading spent blooms regularly helps keep your Begonia healthy and compact. Move outdoor potted Begonias indoors when temps dip below 50 degrees F.
Keep Begonias indoors until all threat of frost has passed. It’s best to limit transplant shock when possible. Wait until your Begonia has at least 2 medium sized leaves. Prepare your selected planting location a few days ahead of time. Add a soil amendment, such as peat moss or other organic matter to help improve drainage. Carefully remove the plant from the current pot using a large spoon or a garden shovel, depending upon the size. Take care to not bend or break the stems of the plant. Water the plant frequently, and keep it from intense direct sunlight until the plant is firmly established. 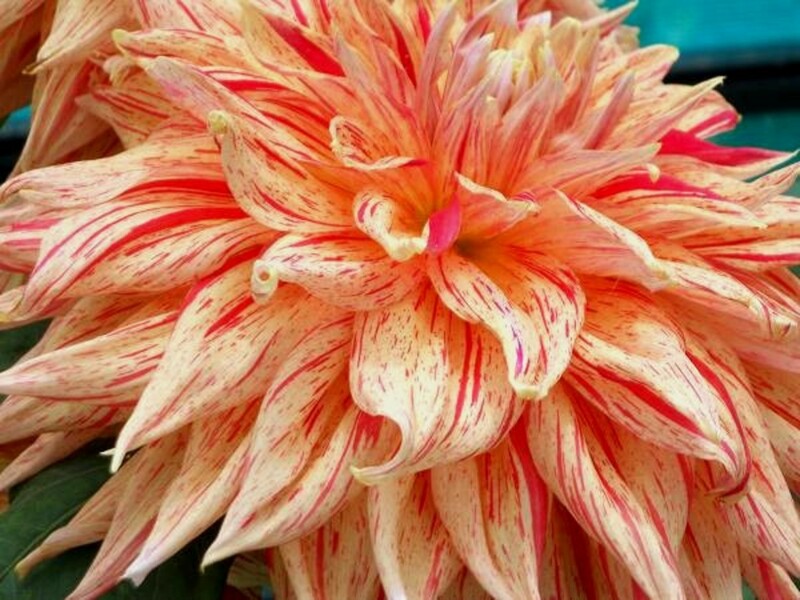 Remove faded blooms frequently, so the plant will produce additional blooms. I am new to Begonias and I purchased one last summer. I was told to put in our basement until spring then just water it again and it will grow. Well I forgot I had it and didn't bring it up until the other day. I watered the begonia and gave it fertilizer and have it in a bright window. Do you think this will grow even though it is started so late? Unfortunately I think it's too late in the season to try to plant it outdoors, but growing the begonia indoors as a houseplant shouldn't be a problem. 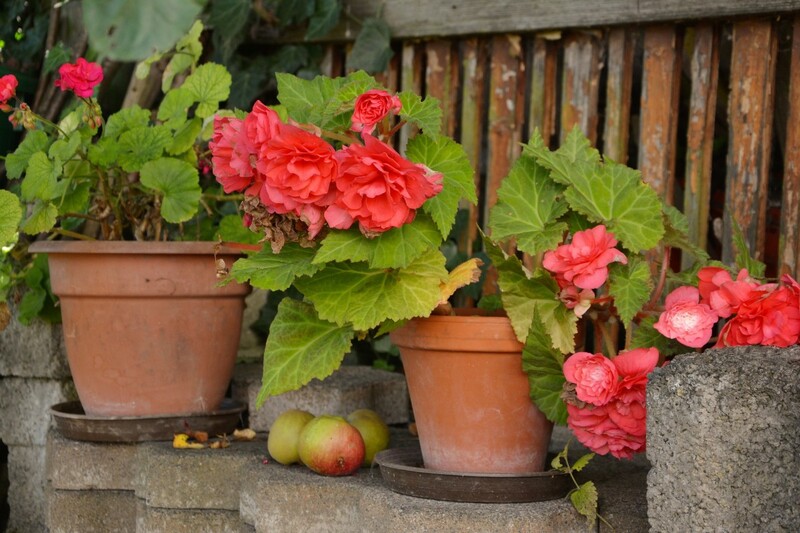 In fact, begonias make great houseplants because of their bright blooms and unusual leaves. 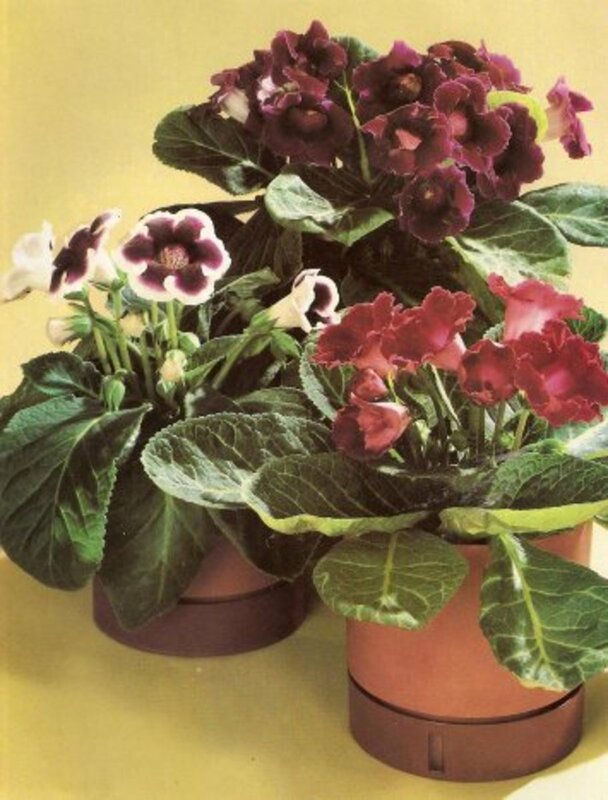 Just make sure to place the pot in a place where it will plenty of bright indirect light, and have high humidity. My begonia started growing late this summer. I live in Zone 4. 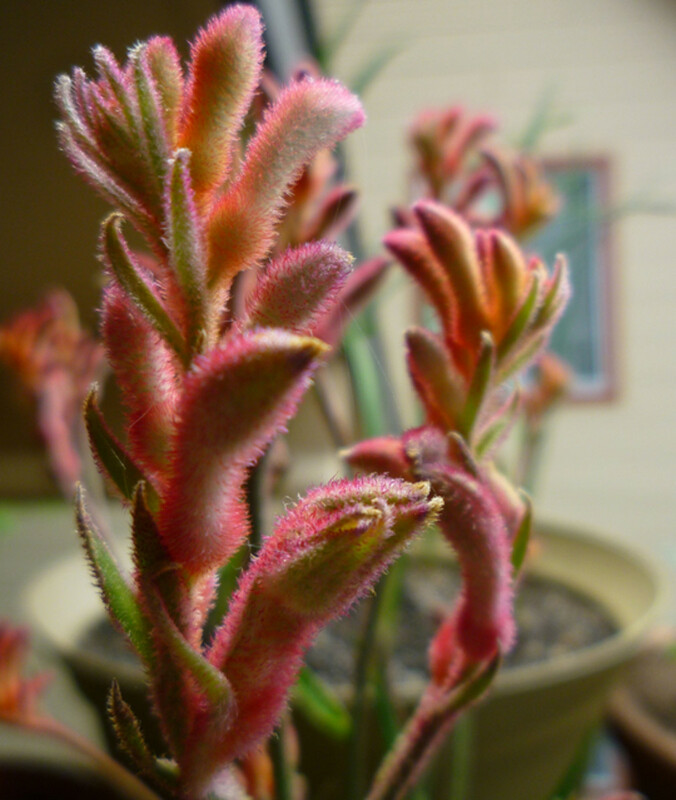 It is now starting to freeze outside, and the blooms are just starting. Do I let it go dormant, or do I leave it bloom? 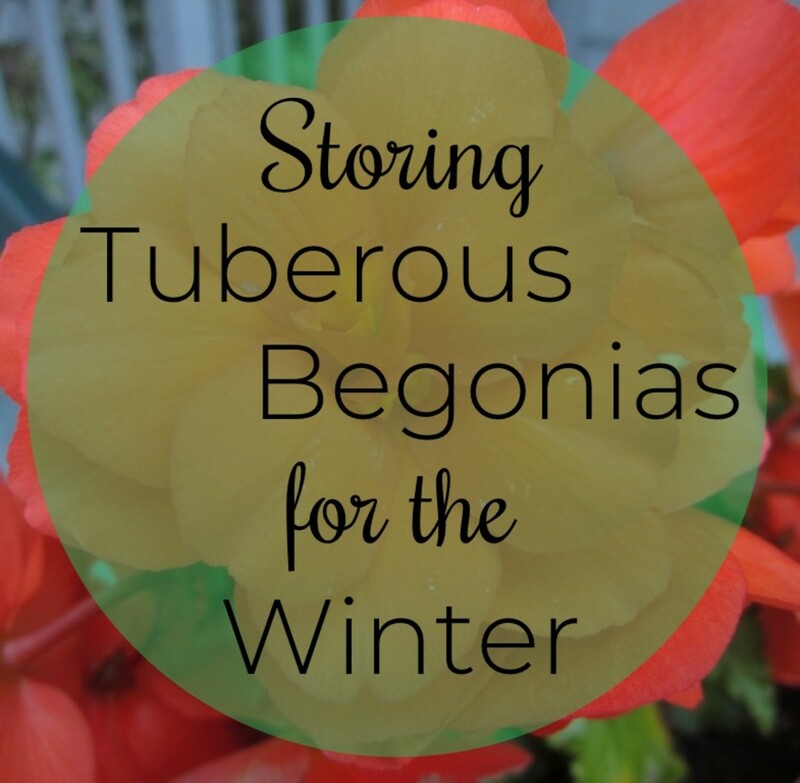 Begonia's don't tolerate cold weather, and will die if left outside in the elements. Sadly, if you choose to keep the plant outside to enjoy the blooms you won't have it again next year. If you bring it indoors and "overwinter" the plant, you'll be able to plant the tuber later in the year.